Sumoll, minor Catalan red wine grape usually blended, known as Vijariego Negra on the Canary Islands. Thus reads the entirety of The Oxford Companion to Wine‘s description of Sumoll, which ranks among the shortest entries in the volume. If even the Oxford Companion can’t muster enough energy to make a single complete sentence about a grape variety, you know it’s really, really obscure. I was therefore amazed to learn from DeVinos that there used to be more Sumoll in Spain than Garnacha (Grenache), a variety which now counts among the country’s most ubiquitous grapes. What happened? 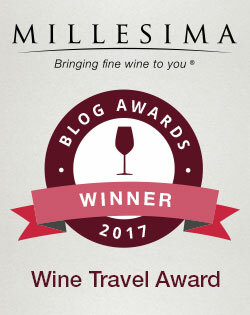 The 19th-century phylloxera plague took its toll, DeVinos explains, and according to Wine Searcher, most of the remaining vineyards were uprooted “in favor of less temperamental varieties.” The website of the Heretat MontRubí winery calls Sumoll a “delicate variety and so difficult to grow.” Wine Searcher agrees, noting that “The variety gives large grapes but low yields and is quite difficult to work with.” It’s not difficult to empathize with farmers who, faced with phylloxera-devastated fields of Sumoll, decided to grow something just a little bit easier and more internationally popular. For much of the 20th century, the only people with any interest in Sumoll, it seems, were Australians. For all its fussiness, Sumoll is “particularly drought-resistant,” according to Wine Searcher, and wine growers Down Under created four hybrids using the variety: Rubien, Cienna, Tyrian and Vermillion (Cienna merits no fewer than three sentences in the Oxford Companion). But aside from some Australian ampelographers, few cared all that much about Sumoll. The last few years have seen a resurgence in interest in local, indigenous varieties that arguably better express the personality of a wine region. This fashion may just have rescued Sumoll from extinction. Current plantings only cover about 300 acres, but a handful of dedicated wineries are giving the grape some much-needed attention. This underdog variety captured my attention at a recent Catalan wine tasting, and I could hardly pass up the chance when a winery offered to send me four different samples of wines made from the variety. Heretat MontRubí stands in Penedes, the heart of Spain’s Cava country, but the winery produces only small-production still wines — nothing sparkling. It released the first varietal Sumoll in 2001 (at least the first seen since phylloxera hit), and the winery now bottles three, a rosé and two reds, in addition to a Sumoll-based blend. Finding one Sumoll is rare enough, but to taste four side by side in one evening? That’s like winning the Odd Bacchus lottery. 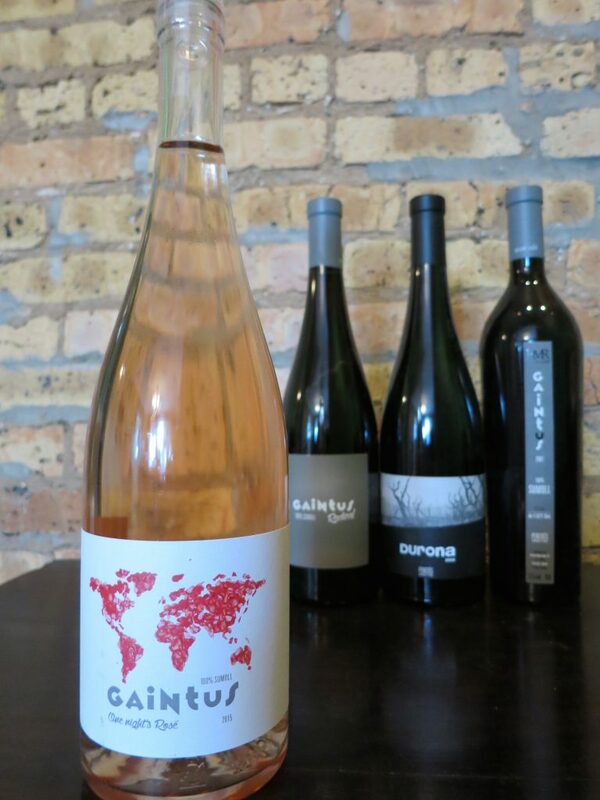 2015 Gaintus “One Night’s Rosé” Sumoll: This wine has a lovely pale peachy-pink color and ample red fruit on the nose, along with some citrus like grapefruit and lemon. Surprisingly, it doesn’t taste especially fruity, feeling more tart and lean. But sampled with some roasted asparagus wrapped in prosciutto, it filled out nicely. This is a rosé you want to drink with food. 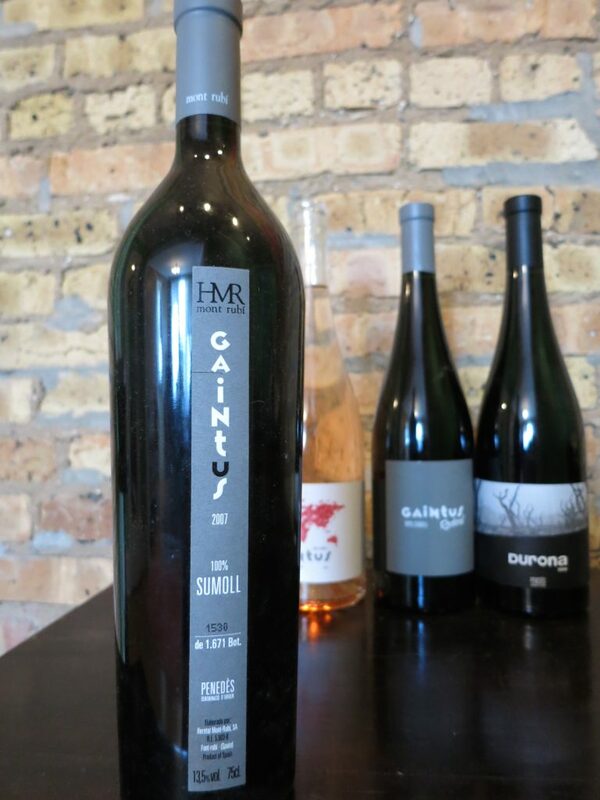 2014 Gaintus “Radical” Sumoll: I quite liked the aroma of vanilla, chocolate and peppercorn, and its color looked enticing as well — a Pinot Noir-like transparent garnet. My dinner companion remarked, “It tastes young,” and I sensed that as well. There was a green peppercorn note intermingled with the ripe black-cherry fruit. The finish felt tannic but certainly not harsh, and with some tagliatelle Bolognese, the acids came more to the fore. Again, it was with food that this wine really sang. I’m of a mind to buy a bottle or two and see what happens in five years, after it ages a bit longer. 2007 Gaintus “Vertical” Sumoll: The Vertical Sumoll sees more time in wood — 14 months in new French barrels compared to the Radical’s six months in second-use barrels — and it’s aged an additional 24 months in the bottle before release. Its aroma smelled like a more subtle version of the Radical, again with the notes of vanilla, chocolate and a bit of pepper. But this time, the peppercorn flavor tasted more black than green. The dark cherry fruit was there, as were more than enough acids for balance. Indeed, it tasted a little too acidic for my taste, but some chicken with tomato sauce tamed the acids beautifully. 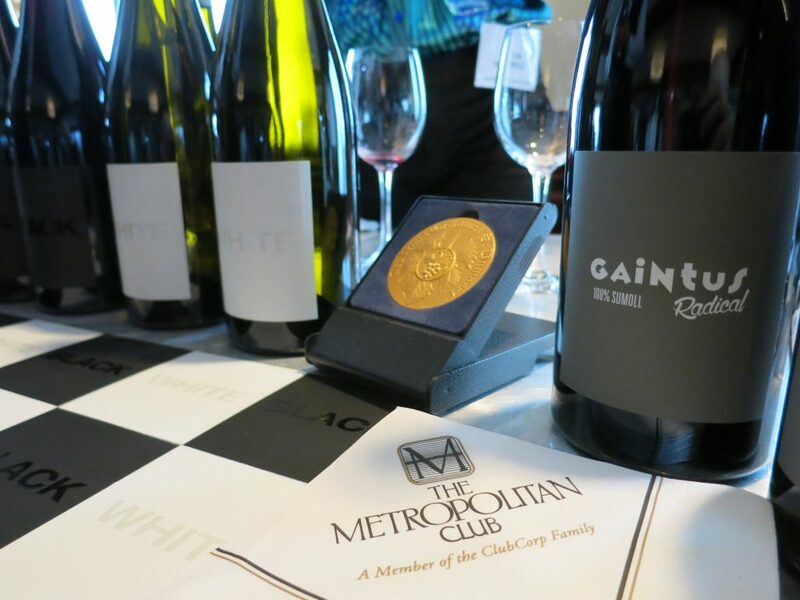 As with the wines above, the Vertical was at its best with food. 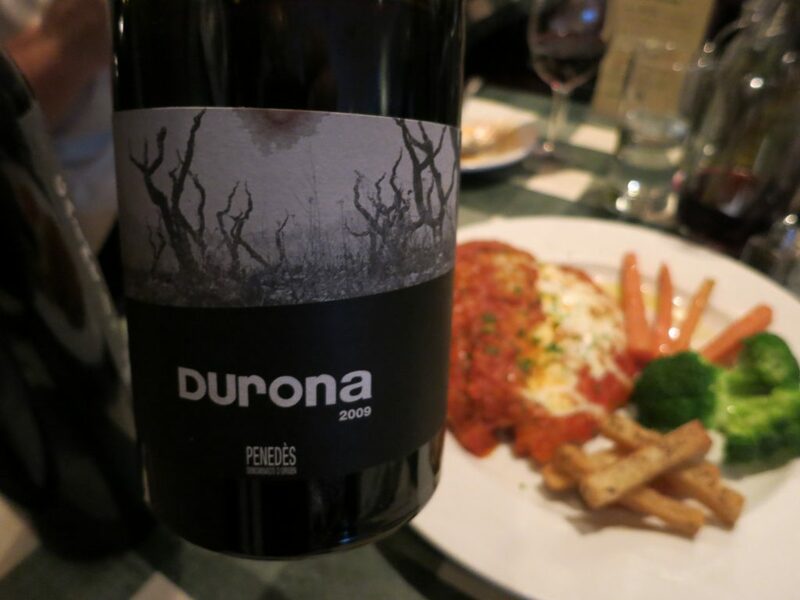 2009 Durona Red Blend: A blend of 50% Sumoll, 25% Garnacha and 25% Samsó (a “confusing Catalan name used for both Carignan and Cinsault,” according to the Oxford Companion), this wine had a totally different character from the Sumoll varietals. It smelled big, ripe and rich, with lots of fruit and a vanilla overtone. My friend took a taste and exclaimed, “Oh, I love that.” I did, too. The flavors felt deep and powerful, with ample dark fruit, a shaft of white-pepper spice and a well-balanced note of wood underneath. If you like high-quality Cabernet Franc, I suspect you’ll like this wine a great deal. With the chicken, it became more taut and spicy, but I would happily drink the Durona all on its own. It’s unlikely you’ll find a Sumoll aisle in your wine shop any time soon, but should you come across one of these wines while shopping for something to accompany dinner, don’t hesitate to pick it up. Good article! I live in Catalunya part of the year and am happy to discover your website. Thank you so much for your kind comment! I’m glad you enjoyed the article. If you have any additional recommendations for wines from Cataluyna, I would love to hear them! I just got back from a great trip to Catalunya and tried Sumoll for the first time!I had the pleasure of trying a sparkling rose made in the method ancestral method and a still red which had just finished fermenting and was a bottle sample of the 2017 vintage. Exciting and geeky wines, not for everyone, but sure made me curious on how they would evolve in bottle. 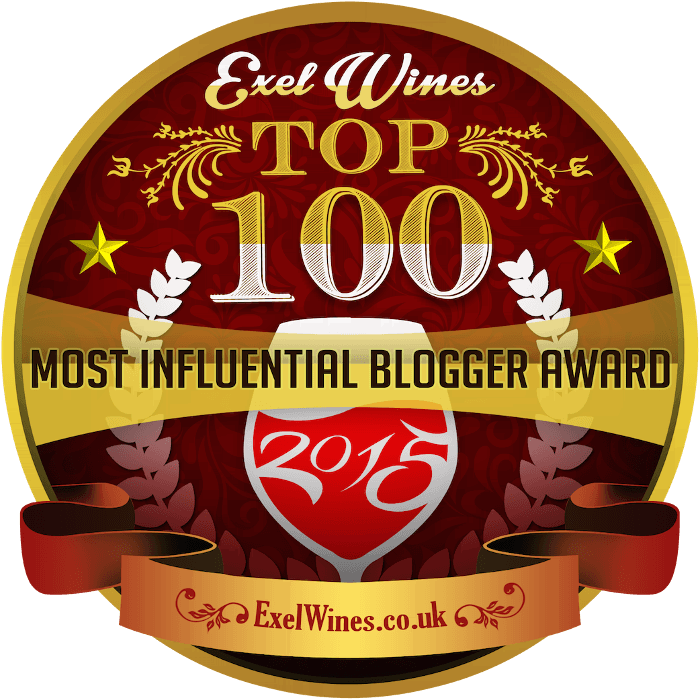 Exciting times in Penedes!